Placentophagy, or consuming the placenta, has been used in some cultures for thousands of years. It has grown in popularity in the US over the last decade, as many women are seeking relief from postpartum depression, low milk supply, blood loss, pain, and exhaustion. As anIPPA Certified Placenta Encapsulation Specialist, Jessica will prepare your placenta following your birth. After thoroughly cleaning and removing the membranes, the remaining placenta is either steamed in the TCM (Traditional Chinese Medicine) manner, or prepared "raw". It is then dried and ground into a fine powder to be put into capsules. The process takes about 24-48 hours. What is the difference between TCM and "Raw" method? Both preparation methods will provide you with pills filled with dried, pulverized placenta. They are both considered very effective for helping with hormone balancing and postpartum depression. As mentioned before, TCM involves steaming the placenta prior to drying. We call this Traditional Chinese Medicine, because the Chinese culture does not believe that new mothers should consume anything "cold". By steaming the placenta you are "warming" it, and making it fit for her consumption. The steaming process makes the placenta less stimulating, which is the preferred method for mothers with a history of anxiety disorders, overstimulation from medications, or hyperlactation. The "Raw" method is the same process, without steaming it first. Contrary to how it sounds, the "raw" method is not actually pieces of raw placenta put into pills. Rather it is thoroughly cleaned and prepared raw, then dried at a lower temperature, preserving more of the nutrients. This creates a much more potent product, and is ideal for milk production, energy, exhaustion, and blood loss recovery. However, it is only an option when less than 72 hours have passed between birth and beginning the process. It is not the recommended option when the mother is GBS+ or received certain medications in labor. Neither method is better, because both methods of preparation are beneficial. Often one will be more appealing, or appropriate, to an individual based on their needs. The "raw" preparation method preserves more of the nutrients, making it the ideal option for exhaustion, blood loss, and energy. The TCM is less potent, and is often less stimulating to the system, which is ideal for women who suffer with anxiety or panic attacks. Both methods effectively preserve the hormones contained in the placenta, which can help restore the mother's system and aid with postpartum recovery. Simply choose the option you prefer. How do I take my Placenta capsules? As part of our service, we offer a personalized consulting to help you determine which preparation and dosage would be best for you. Since Jessica is also a midwife and Naturopath, she can offer you a customized herbal blend to be included in your capsules for additional benefit. Most women have reported no odor or after taste with their placenta capsules. You capsules should be fine at room temp for several weeks, but be sure to store them in the freezer for long term use. When stored properly, they are good for up to 2 years! A small piece of your placenta is added to high-proof alcohol, and left for a minimum of 24 hours, in order to extract some of the hormones and beneficial components of your placenta. It is then strained and the liquid is kept in amber glass bottles for 6 weeks to cure. Women often chose this option, along with their encapsulation, for use in long term hormone/emotional balancing. 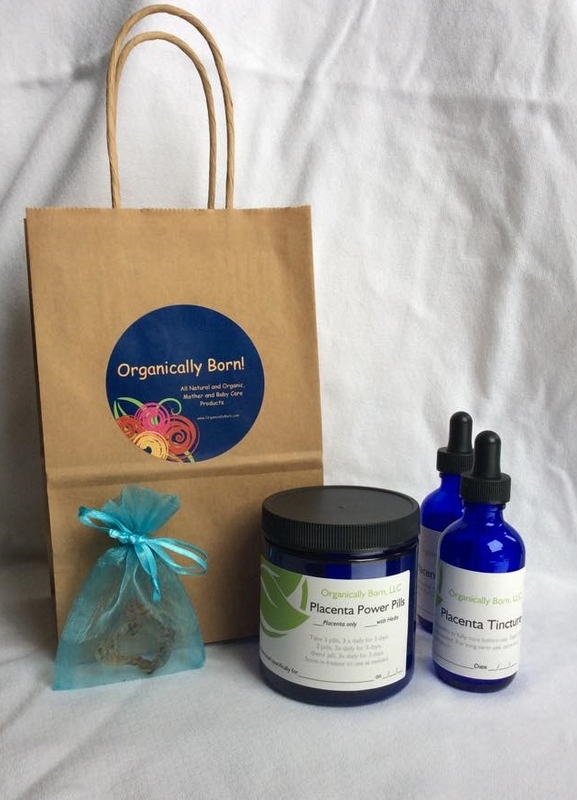 You can store your tincture for many years...and even use it for menopause! What is a Cord Keepsake? Just like it sounds, a portion of your baby's umbilical cord is trimmed, cleaned and dried, usually in the shape of a heart. Once finished it is placed in a small gauze keepsake bag (blue and pink are available, ivory will be used if not specified). This is a free option offered with encapsulation, but must be ordered. What is a Placenta Print? 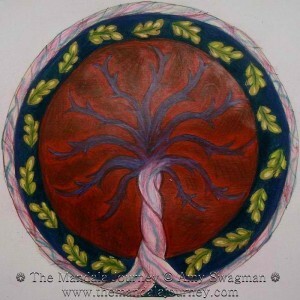 Some people like having a keepsake of their babies placenta, which can be framed and displayed, or put in a scrapbook. 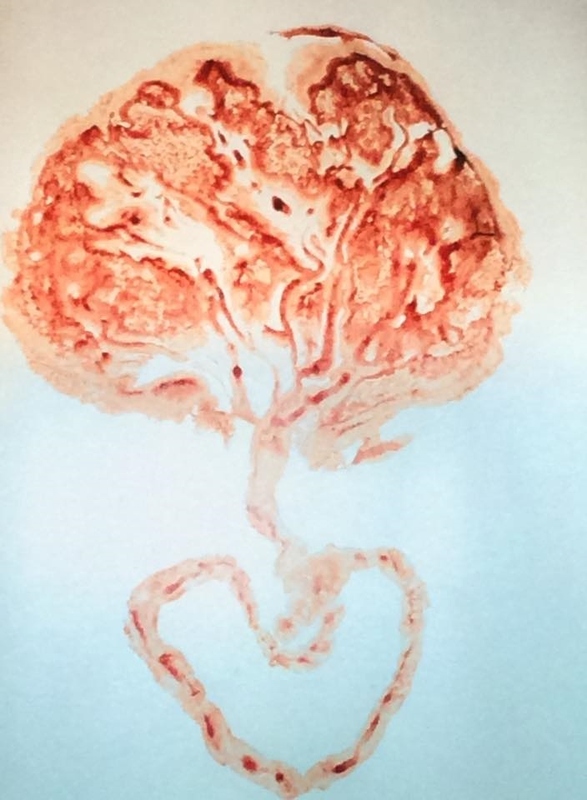 A placenta print is a perfect option! Your placenta will be arranged on a waterproof disposable pad, and a piece of clean watercolor paper will be "stamped" on top of it, to capture the image of your placenta, including blood vessels and umbilical cord. A digital photo can be done instead, if you prefer. Just be sure to note your preference. Why is it important to hire a Certified Encapsulation Specialist? Any time a blood product is being handled, you want to make certain it is being done correctly, and that the equipment is properly sterilized. A Certified Encapsulation Specialist must meet strict criteria for training, continuing education, and pass a Blood Borne Pathogen course. They must practice OSHA safe handling protocols, and because prepared Placenta is considered a "medicinal food", they must also carry a current Food Handlers Safety certification in the state they practice. "I am worried about sanitation. How clean is your workspace?" Very! I prefer to prepare placentas in my home, because I can control the environment. It allows me keep a close eye on everything, throughout every step of the process. I do not have small children or pets, who might touch or contaminate my equipment. I have a dedicated work space, and refrigerator, which is strictly used for encapsualtions. I sterilize all of my equipment (with non-ammonia bleach) before and after each encapsulation, and I only work on 1 placenta at a time, to avoid contamination. I also use disposible gloves and moisture-proof liners for my counter space, and appropriately dispose of any remaining biohazardous materials. I comply with OSHA Blood borne Pathogens Standard 29 CFR 1910.1030﻿, because I want to ensure that you have the safest finished product! How much does encapsulation cost? What do I need to do for my placenta to be encapsulated? You will need to make arrangements with Jessica prior to your birth. If you are a current client, she will bring the necessary transportation equipment to take your placenta with her immediately following delivery. If you are not a client, you will need to fill out our Organically Born Encapsulation registration form and send it in to Jessica as soon as possible. Once we have received your registration form, your encapsulation will be added to our schedule. Most area hospitals have strict Placenta Release policies, which require them to hold your placenta until you and your baby are discharged. At that time they will release it directly to you, and you can make arrangements to drop off, or have it picked-up at home later for an additional fee (Colorado Springs limits only). You can find more specific information about your planned birth location on the registration form. You will receive an email with further instructions, once your form has been submitted. You can reach Jessica at (719) 661-9028 after your birth, to make pick-up/drop-off arrangements. Pick-up can usually be scheduled within 24 hours of the placenta becoming available. PAYMENT IS DUE UPON RECEIPT OF YOUR PLACENTA. Your finished product available for pick-up/drop off within 48 hours. "Thank you for the miraculous Placenta Pills you made for me. As you know my first birth did not go as planned, and 2 weeks after his birth I was filled with sobbing, joy and confusion. I was exhausted and on an emotional roller coaster. I was worried I'd go through the same thing with my daughter, if not worse! I was pretty emotional the whole pregnancy. 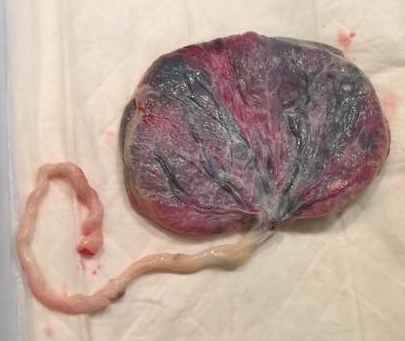 I knew I was in for a long recovery after her birth, but on the second day you brought me my encapsulated placenta with directions on how and when to take it. I started taking them immediately, and felt a 100% improvement from the day before! The cramping was minimal, and I had a boost of energy. I had no problem making enough milk this time, even though she was so much bigger than my son. It's true that when we take care of our bodies, they take care of us. The comparison between the two recoveries were like night & day. Taking the placenta pills brought me peace, balance and a pure love of my new child!" 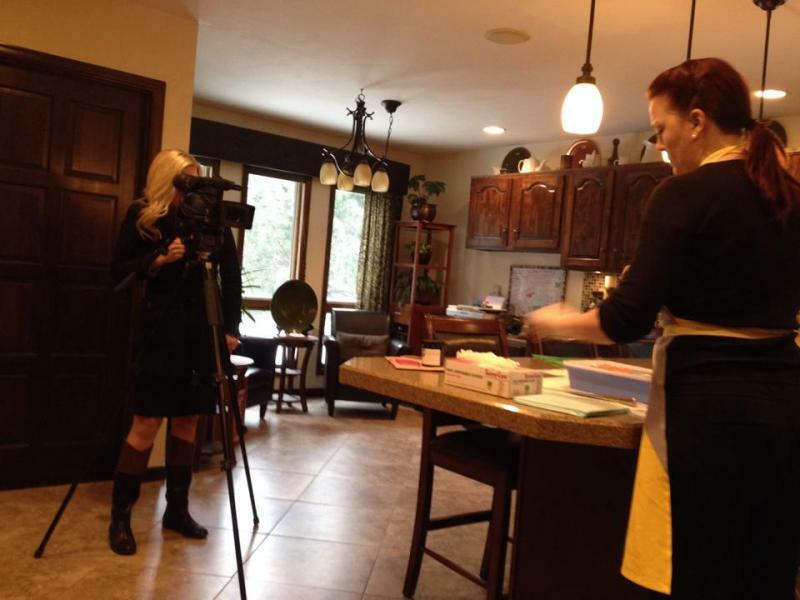 Click ﻿here﻿ to see a recent news story about Placenta Encapsulation, featuring Jessica! "I chose to have my placenta encapsulated with my 4th child, because of the difficult recoveries I'd had with my first 3. Jessica brought me my Placenta pills on the second day following my birth. Within hours I noticed improved energy! My milk came in with no trouble, and I never experienced any engorgement. My bleeding was very light, and stopped sooner than with any of my other children. I also felt more emotionally stable and energetic than I remember in the past. It was my best recovery! I'd recommend encapsulation to anyone." "Following the birth of my first daughter, I suffered from severe postpartum depression, which left me weepy and sad every day, barely able to care for my newborn. This lasted for months before I finally went on medication. 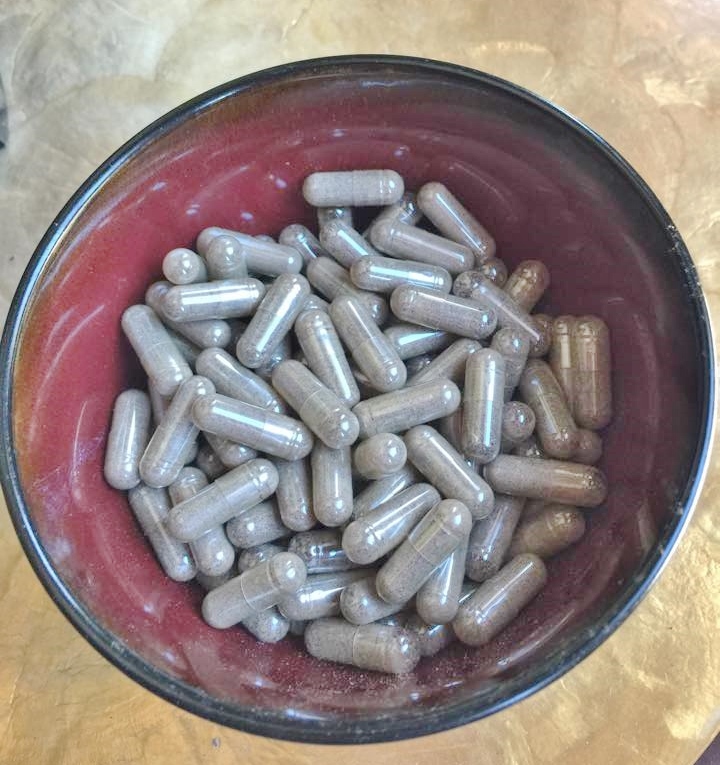 With my second pregnancy, I knew I wanted to do something different, so I looked into Placenta Encapsulation. Jessica took my placenta, following my birth, and brought back pills the next day. My recovery was completely different. I had more energy (despite a lack of sleep!) and my milk production was abundant. The best part was...no postpartum depression. None at all! I highly recommend this option to anyone like me, who has a history of PPD or low milk production."